THE NATURAL HAVEN: Midweek Boost: Jill Scott is Amazing!! Midweek Boost: Jill Scott is Amazing!! It is midnight in UK so I'm posting this up! I was going to feature someone else but found this on UrbanCurlz and I just had to feature it too. 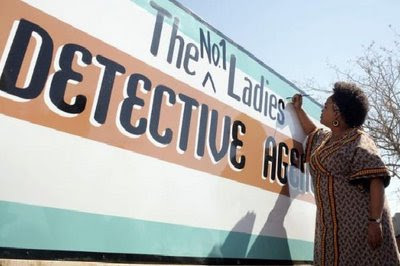 The No 1 Ladies Detective Agency is coming to you and you MUST MUST MUSTTTT watch this. It premieres in USA this Sunday at 8pm on HBO. It is already playing in UK at 9pm Sundays on BBC One (Catch it on iplayer if you miss the show, then slap yourself for missing it in the first place). The acting in this series is pure genius. Jill Scott and Anika Noni Rose do a fantastic job on the African accent, I had to do a double take because not many actors/actresses can master this accent. (Leonardo did a good job too in Blood Diamonds). The story lines are so beautifully crafted and told out in an African sense without losing connection to the real world. It is all about hard work, love, growth, determination, charity, courage during adversity - just name a good value and you will find it. Anika Noni Rose is so hilarious! I didn't recognise her at all, she and Jill really show you the true spirit of female determination in Africa. I have to say that it is also lovely that they didn't just feature women with natural hair. There were relaxed heads too. 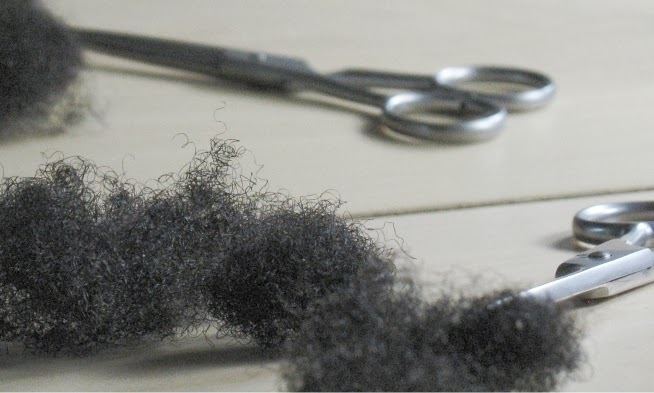 This is more reflective of the true picture in Africa because many people think that many African women wear natural hair but it is less common in urban areas. In short, this series is pure bliss. This is inspired acting at its best and it will have you laughing and just wanting more. If you don't have HBO, get it, pay per view it, go to someone's house and watch it, just don't tell me you didn't see it!! Ok, I'll stop gushing now and take a deep breath. I need to sleep - It is 20 minutes past midnight here! (Ooooooo and African screen giant Desmond Dube is in it too and the late Anthony Minghella directed it (sent potato chips/crisps to Jill to fatten her up).........ok that's it........for now). Are you serious? I thought it was awful. Jill Scott was laughable as an Afrian woman -she lacks the skill and the understanding to play this character well. Why on earth couldn't they use an African actress, or at least someone with more talent. Wow, you are the first person (that I've heard of) to not like this! It is good to see a different opinion. I think it was good not to use African actresses because IF this was an African tale by African people it may not get such wide distribution. I can't fault Jill's acting. I have an aunt who behaves just the same as her character (I'm Kenyan living in UK). She even drives a DATSUN (classic car lol). I can't understand what's not to like but hey, your opinion is welcome!! I am loving the show! I look forward to seeing it. The first episode was fantastic! I love Jill Scot's acting and I don't find anything objectionable about it at all!